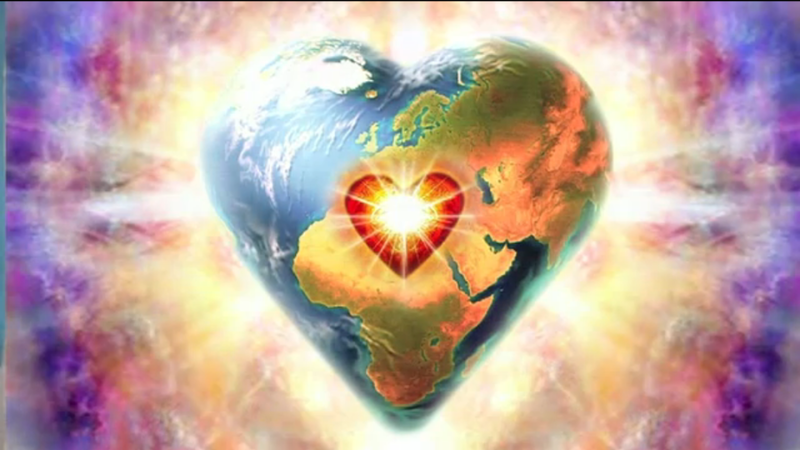 Listen to Your Heart - Part 2: How to Walk the Talk | Ascension 360º - Navigating the New World Energies! We are poised right on the border of the New World Vibration and it feels as if the energies have yet again turned up the heat, stretching and challenging us to our very core. And as we are now dwelling in the space ruled by Heart Wisdom – where we need to be able to both depend on and draw from the voice of our own Hearts more than ever before – it seems the chatter and noise of our heads has grown to a fever pitch, making it ever more difficult to hear that still small voice within bespeaking our very precious Truth. You got a taste of how to distinguish those various voices (or “players” as Hillary calls them) and how to tune in to the many ways they speak to you, but there is so much more to learning the New Language of the Heart. This topic is so critically important not only to making our transition, but to discovering and Knowing WHO we truly are – and finding a place of stillness (and sanity) in the process – that Hillary wanted to dive back in and continue this very rich and multi-layered conversation. So join her for Part 2 for a powerful formula, must-follow guidelines and some invaluable tools for stepping into and navigating the Fifth Dimensional Energies while undergoing a level of constant change and intense metamorphosis that would rattle the likes of even the most spiritually grounded and psychologically well-adjusted chameleon! So tune in to turn down the chatter and put your focus on what matters! Just recently found Ascension360 and wanted to let you know how much I enjoy it. I listen to your podcasts every morning when my best pal Dozer (Boston Terrier) and I go for our power walk. They kickstart my day and lift my vibes, which is exactly what I was looking for when I found your site. I’m just launching my coaching site and business and getting out of a business that no longer serves me, so I appreciate your expertise during this transitional time. Thanks again for your good work. Hello my dear Fellow ‘Soul’Journer Peggy! Thank you so much for your e-mail! I am so delighted that you found the podcasts and that they are providing support and positive vibes for you and for Dozer too! That was surely my intention in creating the show. 🙂 I wish you much prosperity, expansion and success with your coaching site and business and I applaud your courage in following your heart to an expression and contribution that not only serves your highest good, but also allows you to share your wonderful light and love with the world. It and you are so needed at this time. Thank you again and keep tuning in to tune UP your vibration! A new show will air September 14th.